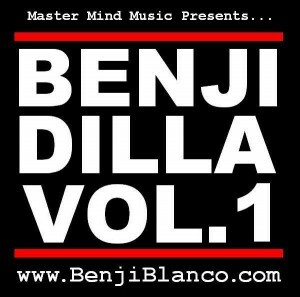 Benji Blanco’s sometimes very precise-on-the-beat flow and powerful, crisp voice sound perfect on the boom bapping J Dilla tracks. My favorites on this are the first track, the concert intro sounding “Turn it Up,” and the bouncy “Livin the Life” blessed with a catchy, lush, melodic chorus rapped (and discreetly sung haha) by Ses Da Great. Won’t take up much hard drive space, but much worth it even if it did. Download BenjiDilla Vol. 1 for free here. This entry was posted on January 4, 2011. It was filed under Music and was tagged with Albany, Benji Blanco, BenjiDilla, download, I.P.R., mixtape, MMMG.